Expand search to view more listings in and around Freehold. 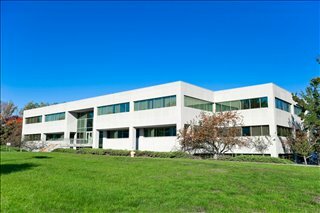 See more offices in and around Freehold. Offices.net has 1 of office building with business space available in Freehold. This ideal office space is available immediately, and offers flexible rental terms to suit your business and make the transition as easy as possible. Our service is designed to get you into the office space that your company needs as quickly and easily as possible, and we will be happy to assist in any way. Our flexible office suites provide an easy solution to working in Freehold, and in many cases also offer the option of adding or reducing the amount of space rented at short notice. This type of flexibility may be ideal for start-ups and companies that are expected to grow fast, as well as for those that are downsizing. Numerous business centers come inclusive of a range of office services, with professional and friendly reception staff, security and onsite IT personnel, WiFi and internet services. Many of the office buildings also provide video conferencing services, conference rooms, and kitchens. Click on one of the offices for lease on this page. The Freehold executive office suites and offices for lease on our website are situated in convenient business locations and are offered on flexible terms, giving you the chance to rent office space for whatever period you need. We have more office space available than ever and prices to suit every budget, companies of all types will be able to find the offices they need using Offices.net. Get in touch and we will be happy to help you find the perfect business space in your ideal location.